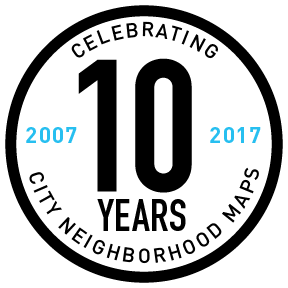 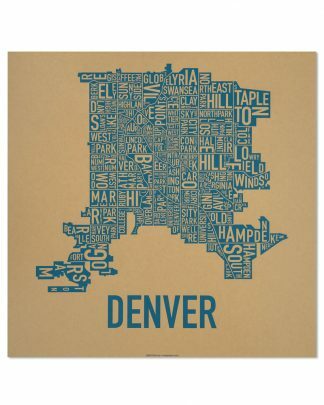 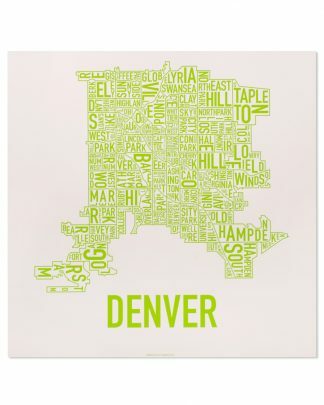 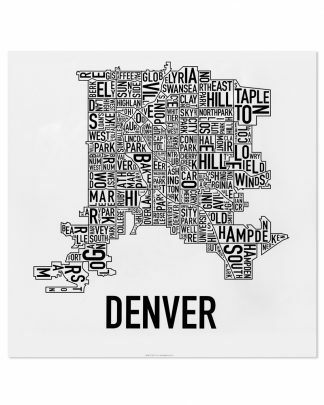 Typographic city neighborhood map wall art of Denver, Colorado. 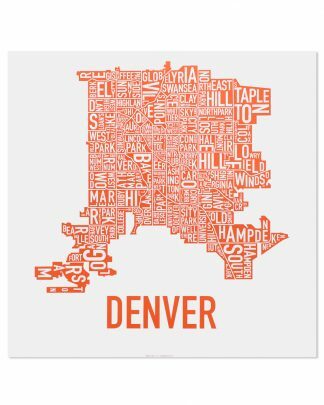 Our posters make a great, indie-made option for home decor that displays your Denver pride or a gift for new or old Denver residents alike. 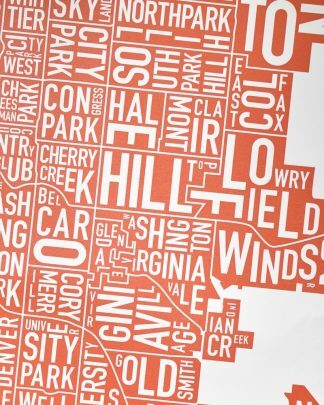 Made in Chicago with materials sourced in the U.S.A.